As a quintessentially British brand, Paul Smith should know a thing or two about styling a brogue. Offering this sleek version of combined pebbled leather and patent creates a dynamism often not seen in the style. The pebbled leather features a slight green hue to set yourself apart from the black-on-black crowd. Available for purchase now at Ssense. 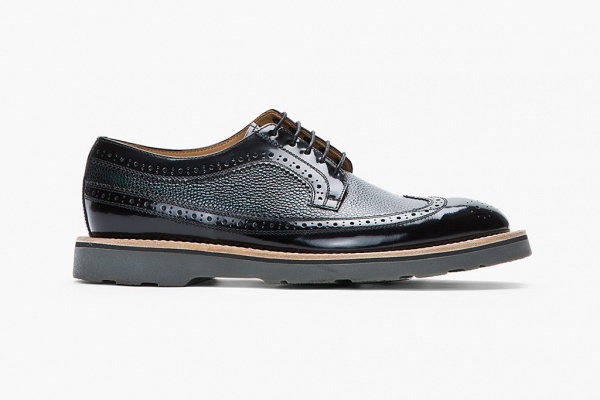 This entry was posted in Footwear and tagged Brogue, Leather, Paul Smith, Pebbled Leather. Bookmark the permalink.